Salary Packaging and Fringe Benefits Tax – Why bother? Why is it that some employers offer fringe benefits to reduce their employees’ tax and others don’t? 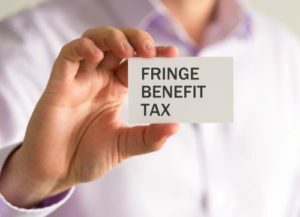 Let’s have a look at Fringe Benefits Tax (FBT) and why it works for tax planning. By providing some of an employee’s salary package via non-cash benefits, some employers can provide a better take home result for their employees compared to other employers who don’t package. This can help in attracting quality employees at a lower cost than their competitors. A fringe benefit is generally a benefit provided to an employee that is not in the form of cash. Some typical examples include the provision of a private motor vehicle, payment of meals, school fees or club memberships, provision of a work phone or laptop and the provision of accommodation. Prior to the introduction of FBT in 1986, these benefits were tax-free to the employee and fully deductible to the employer. FBT was introduced to impose tax on the employer on the private use value of the fringe benefits provided to the employee. The FBT rate is the maximum marginal tax rate applicable to individuals, which is currently 47%. The tax is payable by the employer and no tax is payable by the employee. So why would an employer want to provide a fringe benefit to an employee and potentially pay 47% tax on its value, whilst the employee walks away tax-free? The answer is that the FBT is factored in to employee salary packages and in many circumstances, the FBT can be reduced or avoided. Therefore, by providing attractive salary packaging options, an employer can utilise the FBT system to get favourable tax outcomes for their employees, making themselves more desirable than other employers who don’t package. FBT on a benefit is reduced by any amount that would have been tax deductible to the employee. So things like a work phone, professional subscriptions, union fees, training and work travel are generally FBT free because the employee would have been able to claim the cost personally. So, because no FBT is payable, some employers happily pay these expenses for their employees, hence adding value to their employees’ salary/wage packages. Some employers, including PBIs and public hospitals are totally exempt from FBT. This results in the provision of the fringe benefit being very tax advantageous to the employee. Historically, this exemption was exploited and in recent years there has been a cap placed on the maximum amount of exempt fringe benefits that can be provided to an individual employee. That cap is currently either $17,000 or $30,000 depending on the nature of the institution/employer. There are some alternative calculation methods available on some benefits which can pass on a taxation advantage to the employee. Motor vehicle and housing benefits are common examples and it is possible to get some tax deductions for essentially private expenses. If an employee contributes to the cost of the benefit from their after tax pay, then the FBT is reduced/eliminated. So, if an employee’s tax rate is less than the FBT rate of 47% (<$180,000 taxable income), it makes sense to get the employee to contribute enough from their after tax pay to eliminate the FBT. This increases the value of the salary package arrangement. The FBT regime, when managed correctly, can provide some significant negotiating advantages to employers when trying to attract quality employees. It is, however, very complicated and you should seek professional advice before proceeding with any salary packaging options. At Potts & Schnelle Corowa, we are happy to provide independent, third-party advice to anyone considering salary packaging options. Please contact us on (02) 6033 2233 to make an appointment with a fringe benefits tax specialist.